What started in 2003 as a blogging platform has grown into a full content management system (CMS) for both blogs and websites. Did you know that 27% of the web uses WordPress? That means a significant portion of the sites you probably visit every day, ranging from blogs to major news sites, are powered by WordPress. With a self-hosted WordPress site, you have the ability to easily make changes and update your content without the need to pay your developer every time. WordPress puts the control of your site and its content into your hands. Let us design the site for you, and then you’re ready to go! 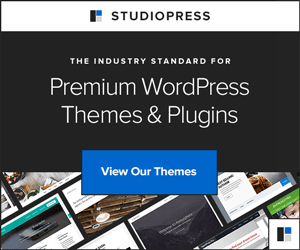 All WordPress sites use themes to control their layout, look, and functionality. The Genesis Framework is a powerful theme with excellent functionality, search engine optimization, and security. Child Themes (which are used with the Genesis Framework) provide additional features and style. (Read more about all Genesis has to offer.) Design by Insight is a Genesis Recommended Developer, and we use the Genesis Framework for all our projects.